Because I spend a significant amount of time creating and marketing online businesses, I thought it would be a good idea to create a page that lists all of the different resources that I recommend. Keep in mind that I will continue to add to this page in an effort to give you the best resources possible, and I suggest that you save it as a favorite in your web browser. Disclosure: Please realize that many of the products that I list here are affiliate links. This means that if you purchase a product, at no additional cost to you (and sometimes I can even get you a discount), I will earn a small commission. Please understand that I only recommend products that I have used or have heard amazing things about. After all, when I give a recommendation for one of these products, I put my own professional reputation on the line and I promise you that’s not something that I take lightly. Although there are numerous resources on this page, below are my top 7 recommendations for resources I use ​in my online business. Without these resources, I wouldn’t be where I am today, and I know they’ll be helpful for you too.​ Below my top recommendations, you'll find the rest of the tools I recommend. Thrive ​Architect: ​Another Thrive Product made my top tools list. Why? Because it's a requirement in my eyes. Thrive Architect is a wordpress plugin that allows you to build amazing looking web pages with point and click ​functionality, no coding required! This tool will save you hours of time and hundreds of dollars from your web developer. 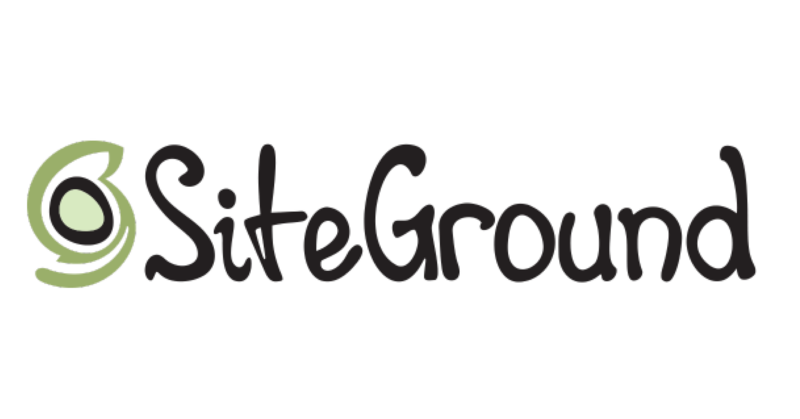 ​Siteground: I’ve realized over time that ​Siteground is the best web hosting solution for my audience. I have personally tried numerous hosting providers and for those that want to host on WordPress, this is the best solution. The ustomer service is amazing, the servers scale very easily, and I only wish I found them sooner. I now generate hundreds of thousands of pageviews each month and they work great, but they're just as good for those starting out. ​Powtoon:​ When I first started my journey into online business, I decided I was going to make courses and sell them on my own website and on Udemy. Though things have changed since then, one thing that remains the same is people continue to ask me how I created my courses. From my experience, in order to succeed with courses you need to make something better than your competitors and Powtoon is what helped me do it. It's really amazing how great this website is and the abilities it gives you as a course creator. Aweber: There are so many different email platforms for people to choose from nowadays that’s it’s difficult to recommend just one. However, I personally use AWeber as an email solution for this website and all of my others because it is very simple to use, cheap, and incredibly reliable. One of my favorite aspects of it is that it has an autoresponder, which allows email to send automatically , essentially automating all of your marketing efforts. Dragon Naturally Speaking Software: This software allows you to speak into a microphone, hands-free, and types your words for you. It’s incredibly accurate, easy to use, and pretty darn cheap for what it does. With this software, my typing speed went from around 60 WPM to 150 WPM and I don’t have to be hunched over at a desk while I create blog posts anymore. In my opinion, every blogger needs this because it saves a ton of time. Long Tail Pro: If you want to succeed with your SEO efforts and make sure that you have the best chance of ranking blog posts and the content that you write, Long Tail Pro is the only tool I recommend for keyword research. There are a lot of reasons why this tool is so great, but mainly that it provides you with a simple and easy to understand number which tells you how competitive the keyword is. TIP: I tend to stay away from anything over 30. ShutterStock: I absolutely hate paying for website images because they are grossly overpriced, but I would hate getting sued for trademark infringement even more. For high quality photos, I use Shutterstock because I think they are the most affordable solution. If you are looking for high quality images for a reasonable price, check out this resource. How does affiliate marketing work? Not everyone understands exactly how affiliate marketing works, so here is a quick video quicktip I created which explains everything in great detail. Shareasale: Smaller than the others, but a great affiliate network that has a knack for getting small to medium sized businesses who are willing to pay higher commissions. In addition, if you decide that you want to host your own affiliate program to sell your products, this is the place to do it. Amazon Affiliates: Did you know that nearly all of the products on Amazon can earn you a commission of 4-15%? With this affiliate platform, you can sell the products on Amazon from your website and make a nice commission on each sale. One other cool thing is that Amazon is amazing at getting people to purchase more products than initially ordered, and you get a commission on everything in the shopping cart. Commission Junction: This is one of the largest affiliate networks that exists and has a plethora of products and websites that are waiting to have their products sold by people like you and me. Linkshare: If you are looking for some really big-name brands such as Walmart and AT&T, this is a platform to consider. It works in the same way as the other affiliate networks but has some really large international brands signed up. Clickbank: A much smaller version of the other networks that focuses mostly on products and ebooks from small businesses. Don’t be fooled though; this affiliate network has some truly awesome products, such as Long Tail Pro. Google Analytics: A 100% free and robust analytics platform offered by Google. For a great number of companies, this is the standard for analytics. With Google Analytics, you can see where your website visitors came from, what they viewed, what part of the world they’re from, and much more. Here’s a video quicktip showing you how to install Google Analytics. Goo﻿gle Search Console: Another tool that is 100% free and offered by Google. Consider this the other side of analytics that is absolutely necessary for your website’s success. This tool will let you know how Google is viewing your website, including information such as how fast your website is, what keywords people are using to find your website when searching, and who is linking to your website. If you aren’t sure how to install Google Search Console, watch this video here. Visual Website Optimizer: If you want to split test your website pages (which I highly recommend you do), then this is the software you want to use. Once you get this software, all you do is put a piece of code into your website and then you can click, drag, and drop your way to new page layouts. Using a tool such as this one allows you to maximize the amount of conversions you get on a given webpage. Leadpages: This software does something that will be absolutely instrumental to your success. The service is focused on turning website visitors into email subscribers and buyers. The site does this by giving you a software package that creates numerous lead pages quickly and easily. Between this and Visual Website Optimizer, you have all of the tools you need to make your website conversions as effective as possible. Vigilink: This in-text advertising service does something very interesting that isn’t done by other services. Instead of linking out with PPC ads where you make somewhere between $.25 – $1.00 per click, this service automatically links out to affiliate links for you. So, there is a chance that instead of making $1.00 per click, you could make $20 off of an affiliate product purchase. I’ve never used this before, but I think it is an interesting idea and would recommend those who have a product-centric website to try it out. Long Tail Pro: This is the platform that I have recently switched to due to issues I was having with Marketing Samurai. The reality is that both of the tools do what you need, but Long Tail Pro is faster and allows you to “seed” multiple keywords at the same time, saves keywords, and includes a competitive analysis feature. UberSuggest: If you are only looking for long-tail keywords, this is a very good (and free) place to start. You won’t be able to analyze competition here, but Ubersuggest allows you to type in a term and add a letter to the query to come up with more suggestions. For example, we can put in the main keyword of “Internet Marketing,” and with the “+ A” selection, we would see “Internet Marketing association, Internet Marketing agency,” etc. It’s probably easier for you to just click the link and check it out, but as a free tool it is enormously helpful. Google Keyword Planner: For many people completing keyword research, this is a very good starting point. By using this tool, you can see all of the searches that occur on a monthly basis for specific keywords or phrases. MyCorporation: Creating a corporation, LLC, trademark, or any of the other legal “stuff” when getting started is a confusing process. I have done this myself in the past, and it is grueling. MyCorporation makes this a much simpler process by walking you through everything in a simple way that you can actually understand and even offering help along the way. Freshbooks: Accounting is an absolute nightmare when you have a small business, but everyone knows it is important. The last thing you want to deal with is the tax man performing an audit and you being completely clueless as to where your money in your business is going. This is where Freshbooks comes in. This is a great, low-cost solution to help you balance your books and always make sure you are on top of the company finances. Because OHP is affiliated with Freshbooks, I am happy to offer you a free trial to “try before you buy”. BillCutterz: You know what’s important when becoming an entrepreneur? Saving money. Billcutterz will negotiate with your service providers on your behalf to save you money. The best part? The only way they get paid is if they save you money, as they receive 50% of the savings. So, if you save $500 in an entire year from your bills, they take $250 and you take the other $250. Mint.com: Truly an amazing service that I use to track all of my finances. The best part? It’s 100% free. With this platform, you input all of your credit cards/loans/savings account/stock accounts, and the site tracks all of your spending down to the penny. If you are worried about security like me, you’ll be happy to know it is owned by Intuit and has the same security measures as financial institutions. Prosper.com: This service is disrupting the financial industry, as it puts the power back in the hands of the people. It works like this; you need money to start your website, people who want to collect a high return on their investment lend money to you, and the banks don’t get any cut of the action. The loans start as low as $2,000, and although there is a risk (the loan will impact your credit if you don’t pay), if you are confident about your website idea and don’t have funding, I recommend that you use this service. Dragon Naturally Speaking: This product has literally changed my life; it has made me much more productive when writing blogs and other content. I have a video that shows you how great the product is, but I HIGHLY recommend this to anyone who hates typing for hours on end. Camtasia: Every video you see on OHP has been edited with Camtasia. The software is great because it allows you to edit video and audio separately, embed quizzes in the videos, and it includes a ton of annotations/callouts that you can add throughout. If you have a need for quality video/audio editing software, this is the one you should get. Social Locker: This nifty little WordPress plugin can increase your social shares exponentially. Simply put, this tool allows you to make it so that at a certain point in your blog post, the reader MUST share or like your brand profiles on a social media platform in order to read the rest of the post. The best part is that they have a 7-day trial so that you can give it a shot before you buy anything. Facebook Ads: You may or may not have heard absolute outrage from people saying how advertising on Facebook is a “scam” and incredibly “ineffective”. I can’t tell you how wrong that is and want to insist that Facebook ads are the greatest thing to come around for internet marketers since I have been in the industry. Why? Simple. People volunteer a TON of their personal information to Facebook. Why is this good for marketers? Because we are able to very clearly target our audience for maximum efficiency. It should be noted that I only recommend using the “Page Post Engagement” and “Clicks to Website” ads on Facebook. Twitter Promoted Tweets: Create a tweet with a link to your website, promote the tweet, and watch as people come to your website. It isn’t free, but Twitter can also send quality traffic to your website. 99Designs: This is a very interesting service that allows you to host a contest where 30-100 designers (depending on what you want to pay) will create your logo or create a website as a contest and you get to pick the “winner” of the job. Be aware that the cost for a logo starts at $299, and a website design starts mock-up at $699, but if you are really serious about your new business and want the best of the best, I think this is a good option. For the record, I don’t think you have to use this service to succeed, but I know it produces results. Thesis WordPress Theme: This theme is great for those who would like to better customize their website. It gives users an option to build pages with an interactive drag and drop interface that makes the whole “coding” requirement a thing of the past. I haven’t had a need to use this, but I know it’s highly regarded by many successful bloggers (including Pat Flynn), so I want to make sure it is listed here. Themeforest: This is the resource I use to avoid building a website from scratch. Why do I do that? Take a few minutes right now to think about exactly what you want your website to look like, and figure out the color scheme. Is that hard for you to do? Yeah, it was hard for me too. Instead of trying to figure it out yourself, use Themeforest to get a theme that suits your taste, and have it customized. Make sure that whatever theme you choose is specifically for WordPress; otherwise, you will have some significant difficulties when getting started.